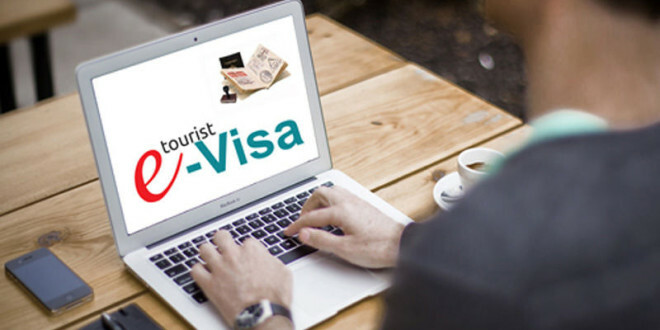 How to Get Indian Tourist e-Visa ? Tourists coming to India for traveling purpose can apply for Indian e-Visa. Although it is valid for a short duration, yet is easy to obtain. Here, given below some information you must need to know about it before applying for an e-Visa. Passport holders of the 163 countries can get an e- visa to India. But, note that if your parents or grandparents were born in or lived in Pakistan, you will not be eligible to get e-Visa. Applications must be made online at this website not less than four days and not more than 120 days before the traveling date. Entering your travel details and upload your recent photograph with white background, and the photo page of your passport that shows your personal details. Your passport must be valid for at least six months. Pay the fee online with debit or credit card. You will receive an Application ID and ETA will be sent to you via email within three to five days. You can check the status of your application here Make sure it shows “GRANTED” before you travel. You must carry a copy of ETA with you when you arrive in India, show it at the immigration counter at the airport. An immigration officer will stamp your passport with your e-visa for entry in India. At this time biometric data will also be taken. You must retain the return ticket while coming back. There were some changes in e-Visa fees in June 2018 as for the people of some countries; its fee has been increased while Indonesian and Myanmar citizens can get free e- Visa now. Free: Citizens of Argentina, Cook Islands, Fiji, Indonesia, Jamaica, Kiribati, Marshall Islands, Mauritius, Micronesia, Myanmar, Nauru, Niue Island, Palau, Papua New Guinea, Samoa, Seychelles, Solomon Islands, South Africa, Tonga, Tuvalu, Uruguay, and Vanuatu. $100 (up from $75): Citizens of US, UK, Russia, Ukraine, and Mozambique. $80 (up from $50): Citizens of the majority of countries including Australia, Belgium, Brazil, Canada, China, Hong Kong, Finland, France, Germany, Hungary, Ireland, Israel, Jordan, Kenya, Malaysia, Mexico, the Netherlands, New Zealand, the Philippines, Poland, Portugal, Spain, Sweden, Taiwan, Thailand, and Vietnam. $25: Citizens of Japan, Singapore, and Sri Lanka. In addition to it, a bank charge of 2.5% of the fee must be paid with e-Visa. It is valid for 60 days from the time of entry in India. It is issued for double entry but not valid to travel in some restricted areas. Note: This is non-extendable and non-convertible. Ahmadabad, Amritsar, Bagdogra, Bangalore, Calicut, Chennai, Chandigarh, Kochi, Coimbatore, Delhi, Gaya, Goa, Guwahati, Hyderabad, Jaipur, Kolkata, Lucknow, Madurai, Mangalore, Mumbai, Nagpur, Pune, Tiruchirapalli, Trivandrum, Varanasi, and Vishakhapatnam. You can also enter at the following five seaports: Kochi, Goa, Mangalore, Mumbai, and Chennai. Once you have Indian Tourist e-Visa, you can leave India (and return) through any immigration point.